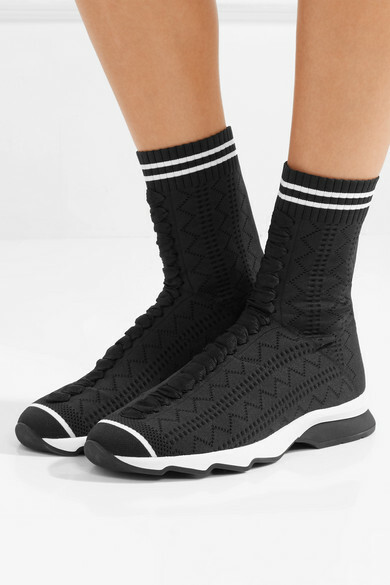 Fendi's sneakers are made from flexible stretch-knit and perforated for ventilation - we like how it also makes them look like socks. 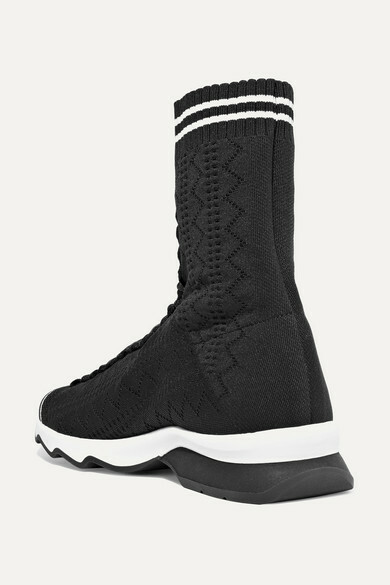 They have a built-in liner that fits snugly to your foot, and are ribbed at the striped cuff to keep them from slipping. 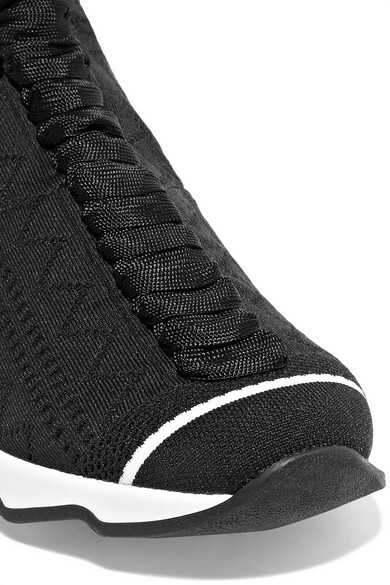 Wear yours with midi skirts or straight-leg jeans. Shown here with: Fendi Skirt, The Row T-shirt, Prada Shoulder bag, Jennifer Fisher Earrings.